Alex Jones, a.k.a. 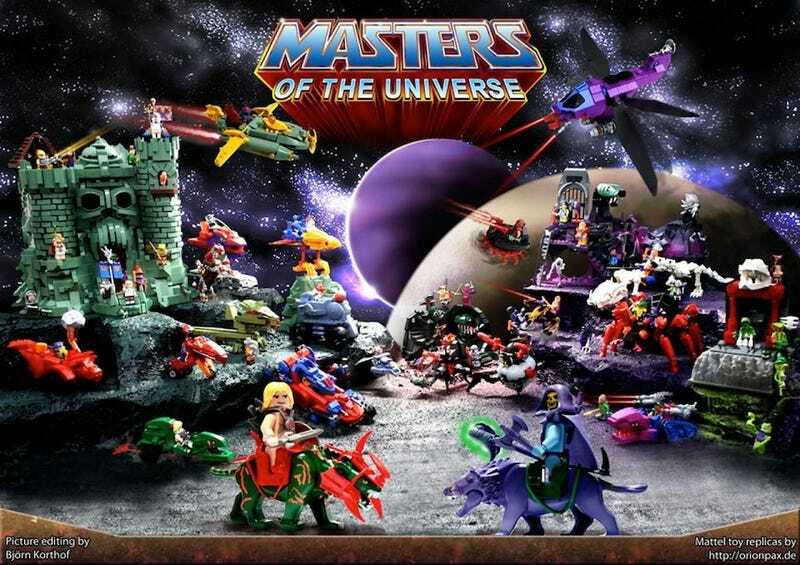 "Orion Pax", is a well-known Lego customizer who's just finished his magnum opus as far as I'm concerned — a nearly complete, shockingly accurate, and thoroughly awesome Lego version of practically the entire Masters of the Universe toyline, including the figures, vehicles and even the playsets! ARRRRGGH THESE ARE SO AWESOME I CAN BARELY STAND IT. Please, go check out Orion Pax's website to see more pictures and the entire line in detail, and marvel at their glory. And then write Lego a very emphatic email about making these things happen.